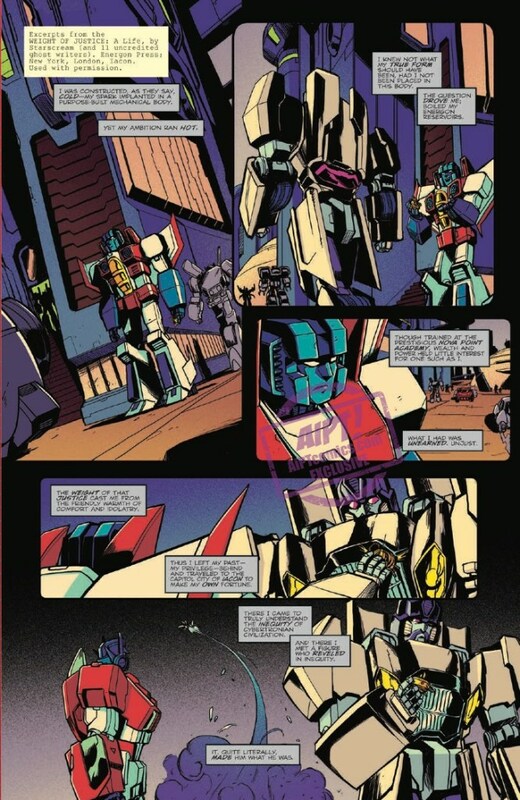 Via website Adventuresinpoortaste.com we can share for you the IDW Optimus Prime #19 Full Preview. 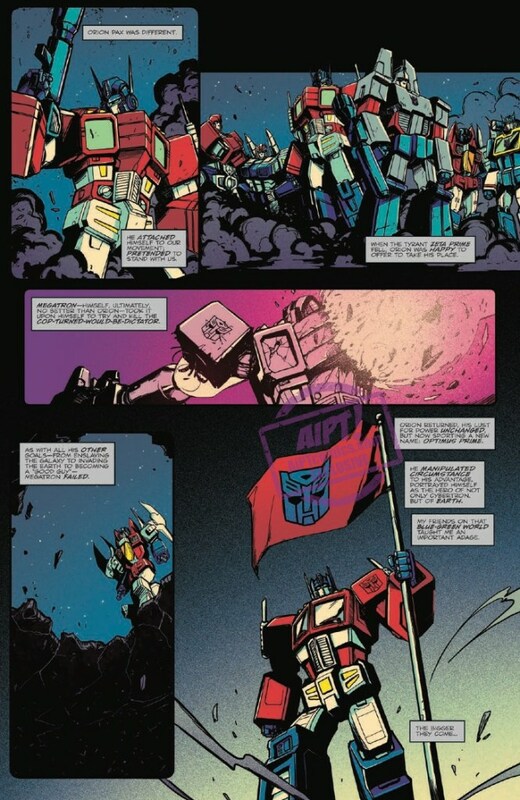 This is the part #4 of “The Falling” arc that brings us a brief flashback of Starscream in Cybertron, which reveals several aspects of the early days of the Decepticon Seeker. Then, we go back to the present time where Optimus Prime seemed to be doomed by the hand of Onyx Prime. But Starscream doesn’t seem much convinced about this. You can check out the mirrored preview, with the amazing cover A art by Kei Zama, after the jump. 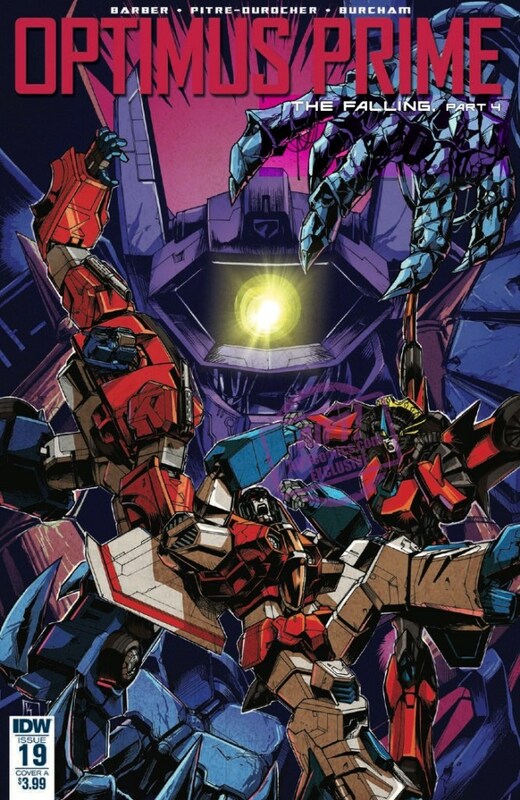 Optimus Prime #19 (The Falling part 4) is out tomorrow… Another big one by @TheJohnBarber , with gorgeous art by @SaraLePew and colors by @jcburcham . Here's my cover for the issue, highlighting Starscream as your narrator. Colors by @wordmongerer ! I’m more thinking of his dedication to the Dark Cybertron prophecy. 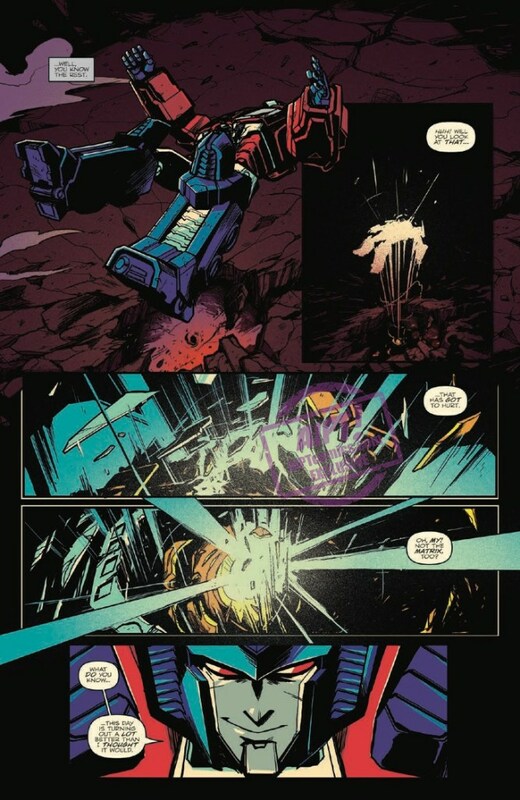 Given that Shockwave actually created that, it would probably throw him for a loop. 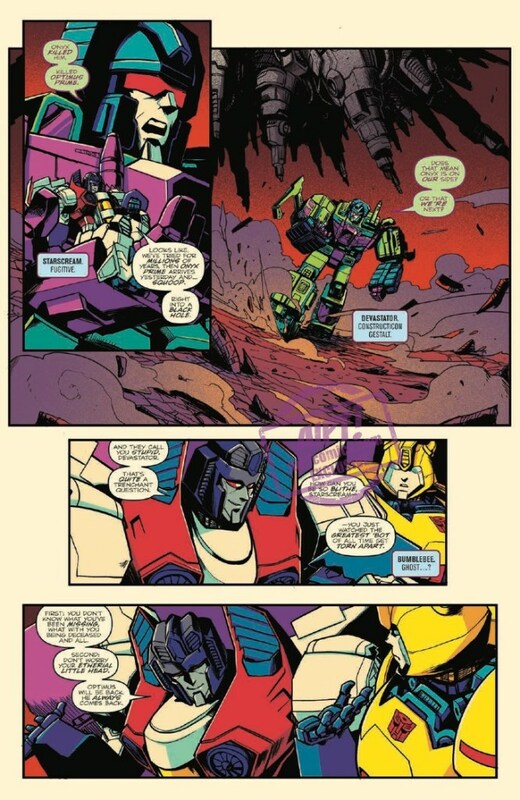 Maybe this will give Scoop and Devastator some cause to get back at Shockwave for ruining Cybertron and give combiners some credibility since Lost Light #12. Starscream's side of history seems kind of whack. Remember that, being from Cybertron, Scoop doesn't view the Thirteen as gods – that's specifically a thing that the colonies do. It really should have been in blue text. Dammit. I don’t think ANYONE knows. I’m curious as to how they’ll all react myself, particularly the religious fanatic Scoop. He’ll probably have a crisis of faith because of this. Tough? I'm not acting tough. I'm a softie. I said, after three parts, this story is garbage, and I have no idea what Onyx's motivations or plot is. Pretty boilerplate stuff for a comic post. That's it really. I mean, the reason that you have no idea what his motivations or plan are is because the story hasn't revealed them yet. It seemed like you were complaining that they should have been revealed by now because that's what the solicits implied, but apparently you weren't, so I'm not sure what your point is! You realize you're never going to dig yourself out of this hole you're making for yourself? You're better off not posting anymore than trying to act tough. Armada Swindle? Why is he in it? Are he and Starscream supposed to be – Oh. OH! Very good. Very clever. Well done Barber. Solicitations are written ahead of the actual issues, complaining that the final product doesn't quite match up is ridiculous. 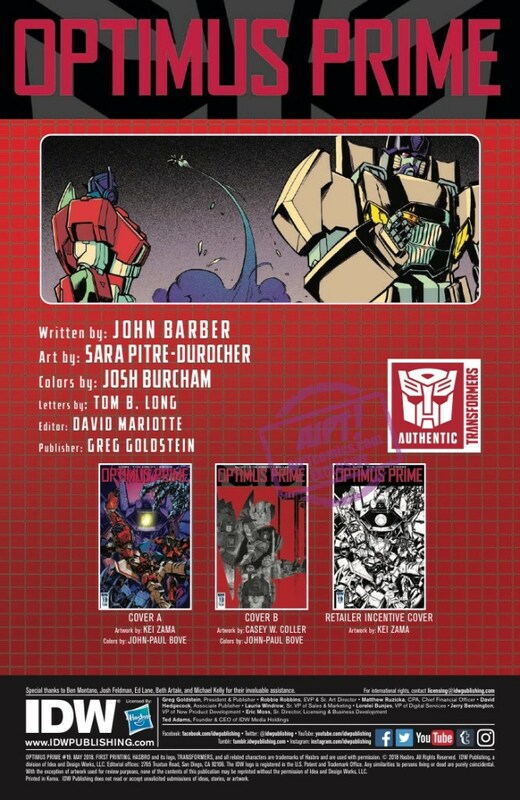 Starscream having a blue face in the first page looks…odd to me. Also, it looks like Starscream doesn't know Onyx is Shockwave. Anyone want to wager how surprised Starscream will be when he finds out? Having just read #17-18 I have no idea what Shockwave\'s motivations are or what his scheme is. This storyline is pure garbage. That statement only shows how naive you are. As NominusDP said, if he had outright revealed his motivations it would have been anticlimatic. It's call suspense, to keep readers hooked, being straightforward isn't always the best for a story. Besides, those who read the FCBD issue already know. 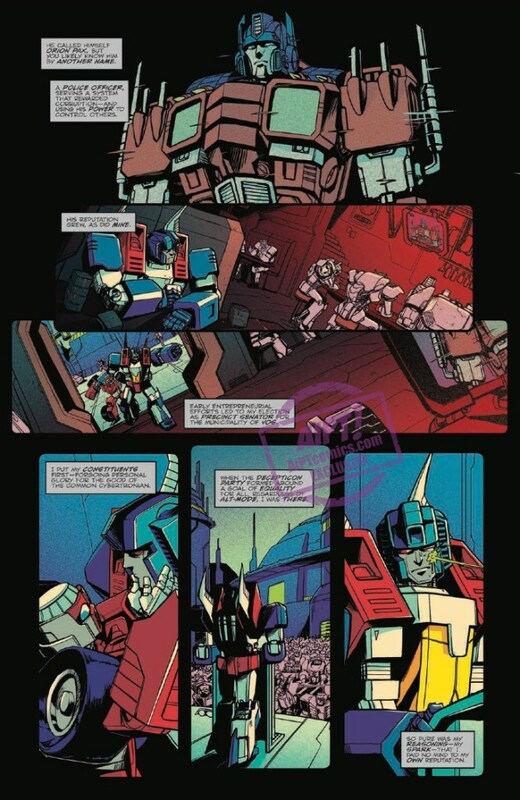 I do hope that Starscream ends up sacrificing himself to save Cybertron not out of any sense of nobility, but because killing himself is the only way to get people to leave him alone. He’s in Unicron, so he’s not.